The Ministry of Defense of Ukraine told about the changes in Donbas that took place during the first month of the Joint Forces Operation. According to the speaker of Defense Ministry Dmitro Hutsulyak, there are changes - first of all, the militants started to fear. He said this at a briefing, as 112.ua reports. "The Joint Forces Operation has been going on for 30 days already. After changing the format of the operation from the ATO on the JFO, we see significant differences...Firstly, the militants of the Russian-occupation forces are afraid, and this is understandable, of the Ukrainian military - liberators of Donbas. At the same time, Russia continues to provide forces and resources to the occupied territories of Donetsk and Luhansk regions under the guise of "humanitarian convoys" that are not humanitarian at all, through the uncontrolled sections of the state border. 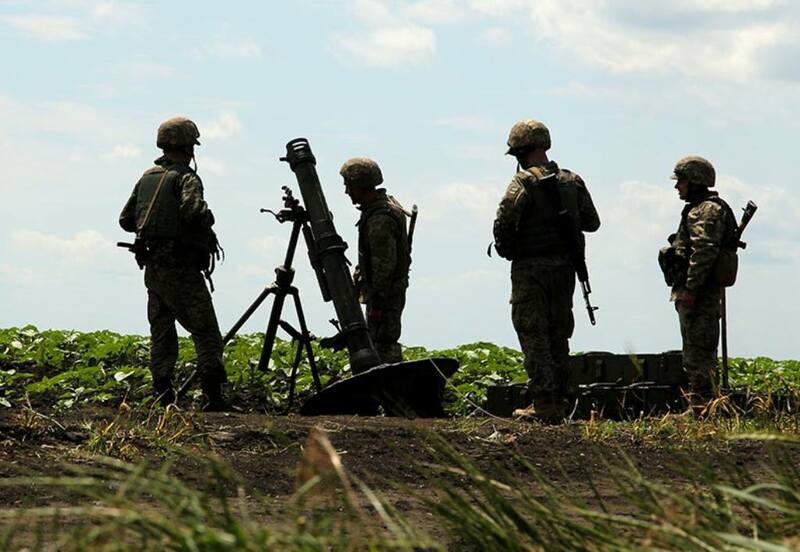 The number of shelling from heavy weapons on the positions of joint forces and peaceful cities in order has significantly increased to provoke the Ukrainian defenders. All the while, the occupiers are attacking from the territory of these towns and villages, " Hutsulyak said. According to him, the Ukrainian Army does not respond to such attacks, so as not to endanger the civilian population. "On the whole, the coordination and interaction of the forces and means of the JFO have changed," the Defense Ministry Speaker summed up. As it was reported earlier, the Joint Forces Operation in Donbas replaced the Anti-Terrorist Operation on April 30 this year. A new format is designed to replace the anti-terrorist operation that has lasted four years.